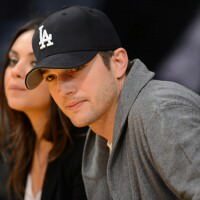 With his first child on the way actor Ashton Kutcher and fiancee Mila Kunis are getting all of the prep work out of the way to welcome their bundle of joy. For Mila that has meant making the rounds in the celebrity talk show circuit and coyly flashing her baby bump around Hollywood and for Ashton it means letting go of his incredible bachelor pad in order to become a real family man. Multiple sources are stating that the Two and a Half Men star is putting his 9,385 square foot Lake Hollywood Estates home on the market for a whopping $12 million price tag. The Hollywood Hills home boast a slew of incredible amenities including an infinity pool, in-ground spa, fire pits and a stunning view of the Hollywood Reservoir and the infamous Hollywood sign. Add to that a luxurious five bedroom and 8 bathrooms and you can see why the couple might want to downsize just a bit. We’re sure it is hard for Ashton to part with the other awesome features of his bachelor pad like the state of the art gym, relaxing sauna, wine cellar and most importantly, the elevator. We’re also sure that true love and his new family will fill those empty spaces up pretty quickly. 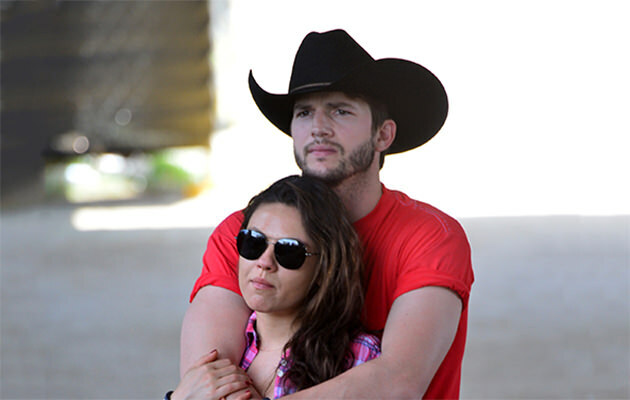 Ashton and his beautiful fiancee Mila first met way back in 1998 while filming their hit comedy, That 70’s Show on Fox. At the time Mila was just 14 years old and shared her very first kiss with hunky Ashton. But rumor has it that the two actors didn’t get along on set, with Mila actually seeming to hate Ashton. After the series ended in its 8th season not much more was heard from Mila and Ashton’s interaction for some time but all of that seemed to change during his separation from ex-wife Demi Moore when the couple first reportedly hooked up. Fast forward a couple of years and we are now getting the chance to enjoy another true Hollywood romance unfolding right before our eyes as the pair gets ready to welcome a baby and plan a wedding all in the very near future.